At the start of the year I decided that I should begin to read for leisure again. Partly because I realized that my vocabulary if full of slang (yuck), and partly because I have been searching for positive ways in which to use my free time. 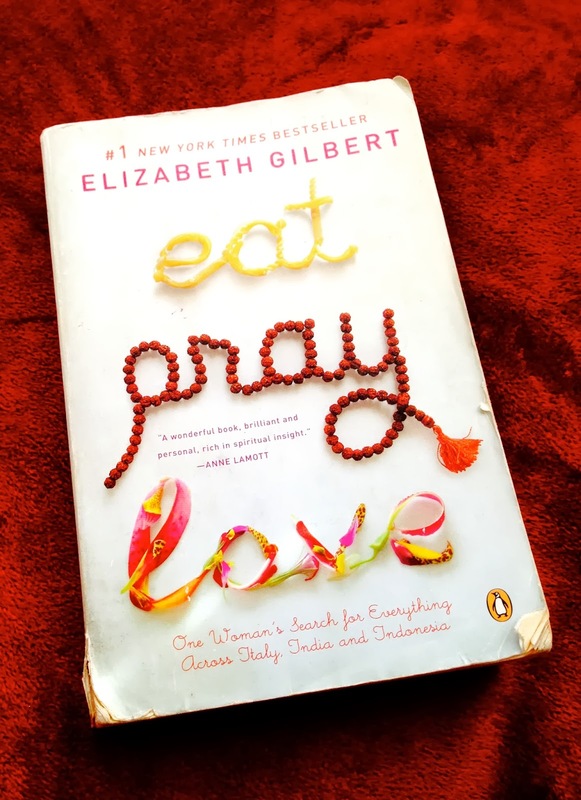 I saw the book, Eat, Pray, Love by Elizabeth Gilbert, in the house of a close friend and since I’ve already seen the movie I wanted to see what the book had to offer me. In case you haven’t read the book or seen the movie its basically about a woman who traveled to three different countries in one year after a horrible divorce in hopes of finding herself and her happiness. I managed to get halfway through the first few chapters of the “Eat” portion of the book and it occurred to me that this would be a great way to change the way I approach this year! Rather than attempting the usual new year resolutions which I quickly forget about, I’ve decided to split my focus on three areas of life that could bring me happiness and balance. Now clearly I do not in any way have the money or resources to travel to three different countries for the entirety of one year to find a better me. What I do have is the option to apply the principles she used then to my life now. . .
With that being said I’m going to focus on three things, something that brings me pleasure, something that brings me peace and finding the balance between the two. Singing will be my pleasure, increasing my devotion to my Lord and Savior Jesus Christ will my peace and learning to love myself as well as those around me better will be serve to be bring me balance between the two. Hence Sing, Pray, Love! Of course I will keep you updated on my progress throughout the year and when you have time pick up this book! It’s a great read!